Not dated, but I believe it is from the late 80's. 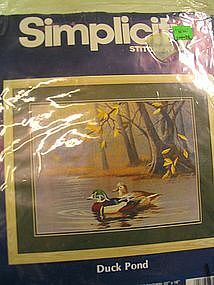 This pattern is a reproduction of the original painting by Lex Gonzales. Please email for additional photos or info. I need your zip code to calculate the postage. 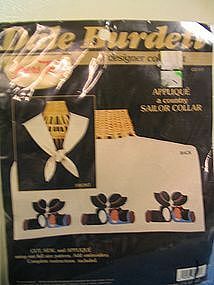 Unopened 1987 Applique a country Sailor Collar. Please email for additional photos. I need your zip code to calculate the postage. 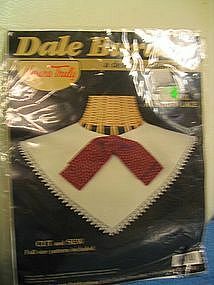 Unopened 1987 Austrian lace collar kit. Please email for additional info or photos. I need your zip code to calculate the postage.